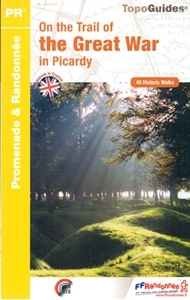 English edition of Topo-guide No. 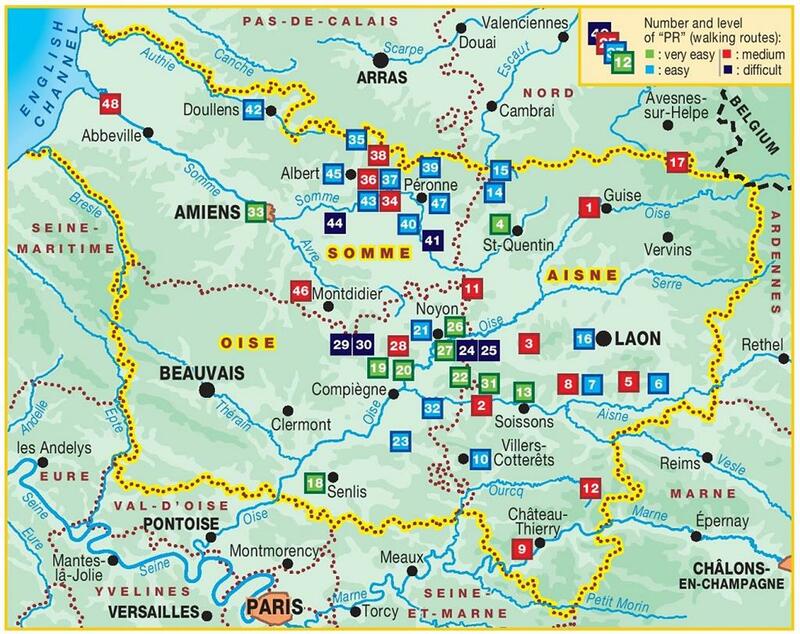 RE23 from the Fédération française de la randonnée with 48 circular day walks, from one to over six hours long, across Picardy including in the battlefields of the Somme and in the areas further south near the Aisne and the Oise, etc. 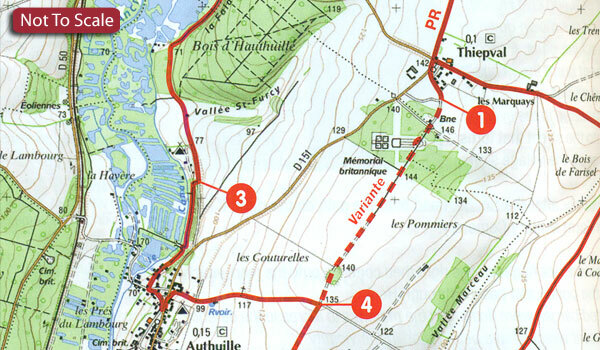 Each walk is presented on an extract from either IGN’s topographic survey of the area (mostly at 1:25,000, with some walks at 1:50,000) or on a street plan, with various points along the route cross-referenced to the description placed on the opposite page. The description includes details of how to get there and where to park, the waymarking colour of the route, plus a list of other interesting nearby sights. 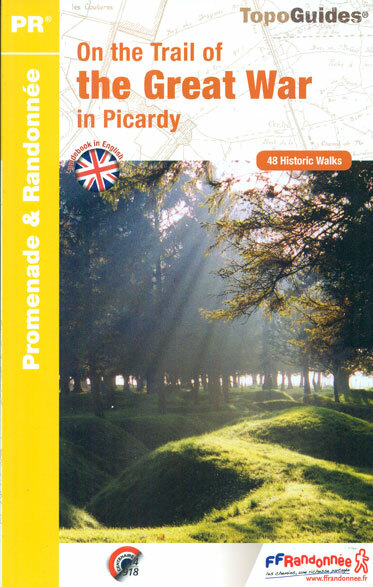 A 39-page introductory section, illustrated with numerous colour photos and several explanatory maps charting the changes in the front line, provides a table of facilities available in various locations (restaurants, food shops, accommodation) and lists of useful contact details. 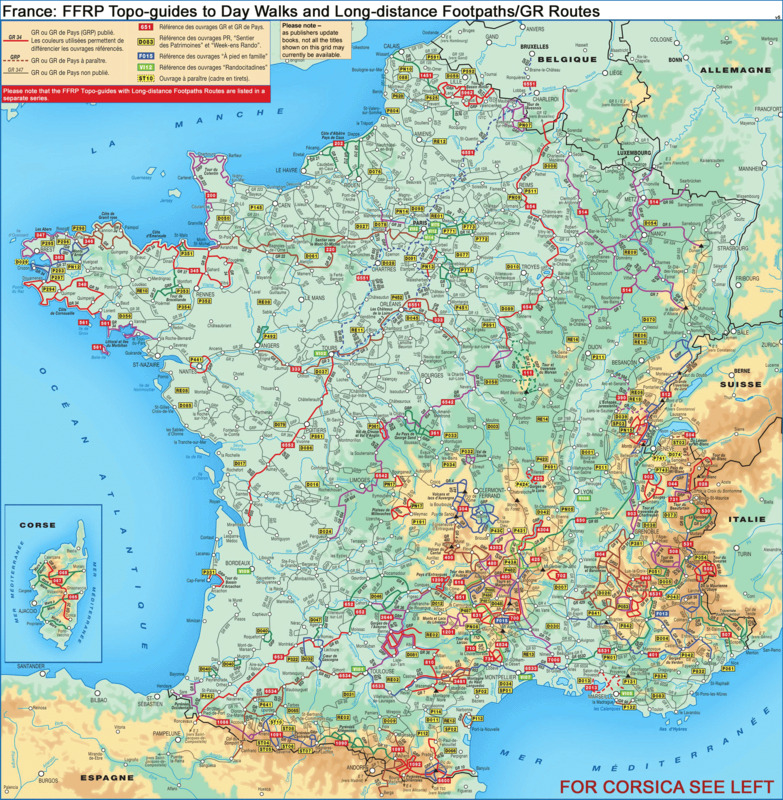 The guide has a geographical and a thematic index. All the text is in English. 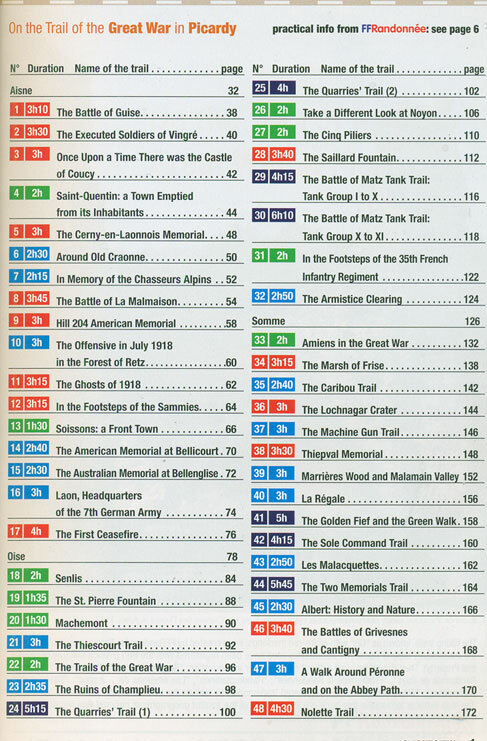 To see the list of other FFRP guides with day walks please click on the series link.